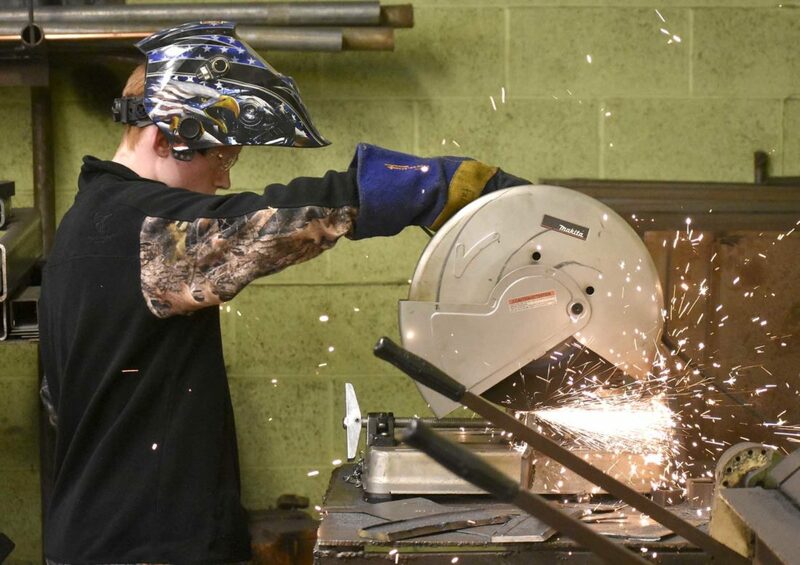 Kaeden Langfitt, 15, a freshman at Clarion-Goldfield-Dows, gets to work on a class project at the school recently. 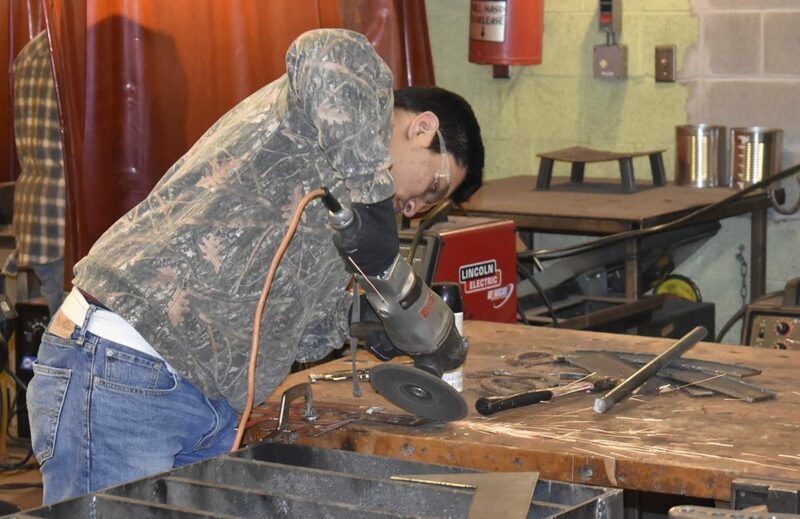 Nefi Ramos, 17, a sophomore at Clarion-Goldfield-Dows High School grinds a metal Chevrolet sign at the school recently. 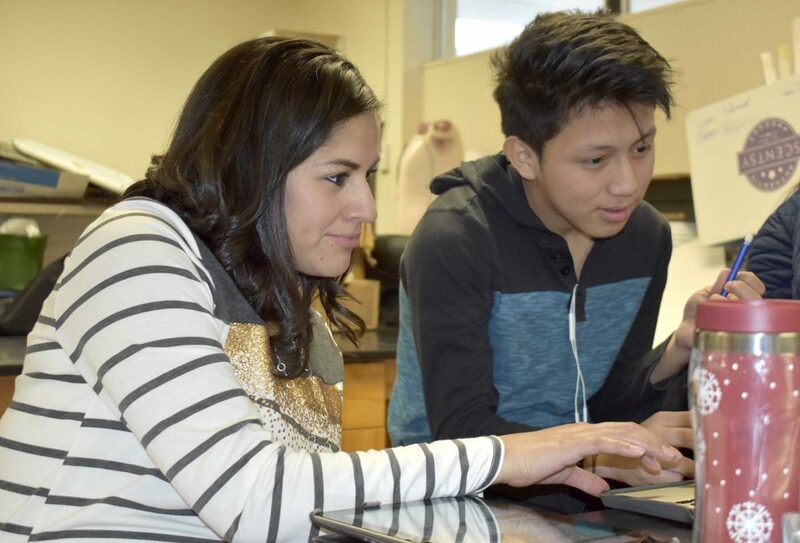 Miriam Meinke, an English Language Learner paraeducator, works with Luis Puac, 15, a sophomore, at Clarion-Goldfield-Dows High School recently. 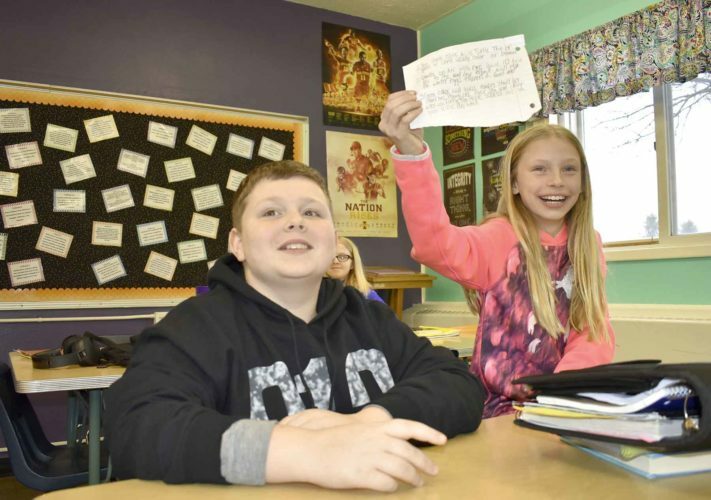 CLARION — Clarion-Goldfield-Dows schools continue to perform well at a time when the district could see an increase in enrollment in the coming years. That’s according to educational measures compiled by the Iowa Department of Education through its annual school report card. 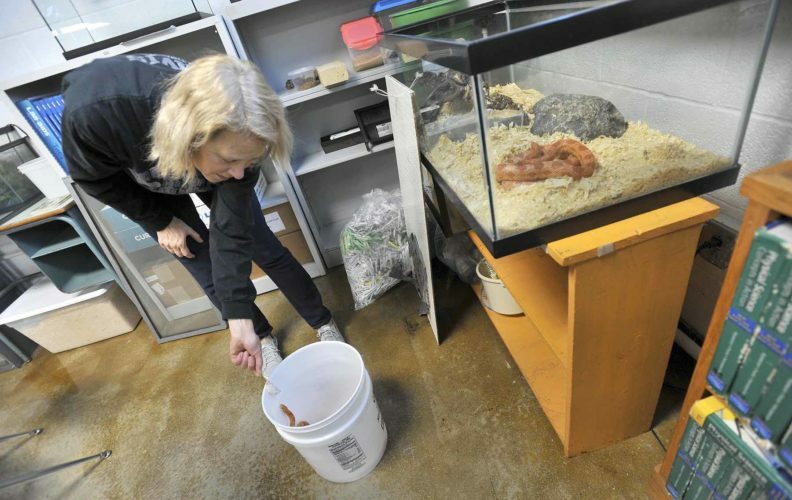 “We have been experiencing strong or improving scores,” Bob Olson, CGD superintendent, said. The latest report card from the state grades CGD’s elementary school as acceptable and its middle school and high school as commendable. The ratings are formulated based on up to eight different categories: proficiency, college and career ready growth, annual expected growth, closing achievement gap, college and career readiness, graduation rate, attendance and staff retention. Statewide assessments are also a factor. Each school receives one of the following ratings: exceptional, high-performing, commendable, acceptable, needs improvement, and priority. In 2015, CGD High School received a priority rating. But Olson said there was a good reason for that. “Come to find out some of our students thought it wasn’t important to take the test, so they didn’t try and that was reflected,” he said. Since then, the high school improved to acceptable in 2016 and commendable in 2017. The middle school has achieved a commendable rating in each of the last two years, while the elementary school has scored acceptable in both 2016 and 2017. 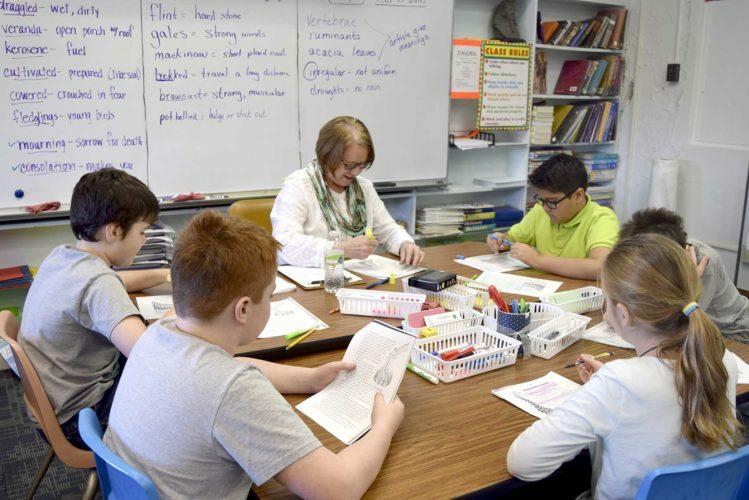 About 930 students attend Clarion schools. At each of the schools, about 30 percent of the student population is Hispanic. 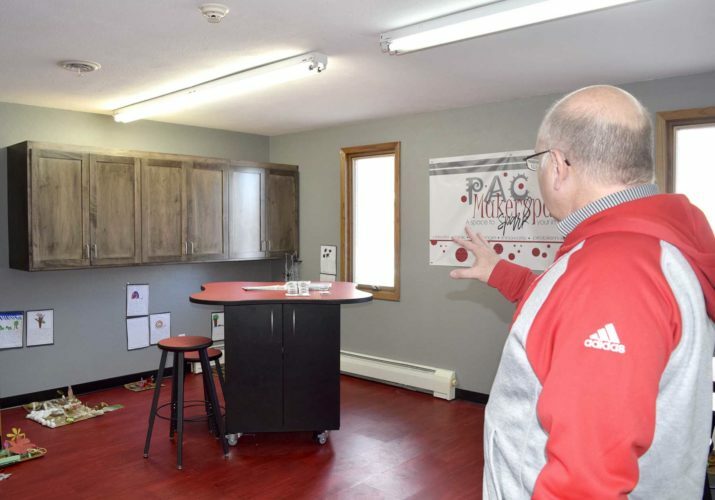 With Prestage Foods of Iowa’s incoming pork plant set to open in the fall less than 20 miles from Clarion’s schools, the district may see an increase in that diversity. Olson said the district is well equipped to handle any changes in demographics. Olson has been CGD’s superintendent for nearly 30 years. Prior to that he spent five years as Clarion High School’s principal in the 1980s. At that time, Olson said about 2 percent of the student population was Hispanic. The district employs two full-time ELL teachers, one full-time associate, and three part-time associates. One area that could be a challenge is finding additional learning space, he said. “We have been talking with architects to see what we can do to accommodate the growth that is anticipated,” Olson said. The last major construction work completed was about a decade ago when a $4 million bond passed. 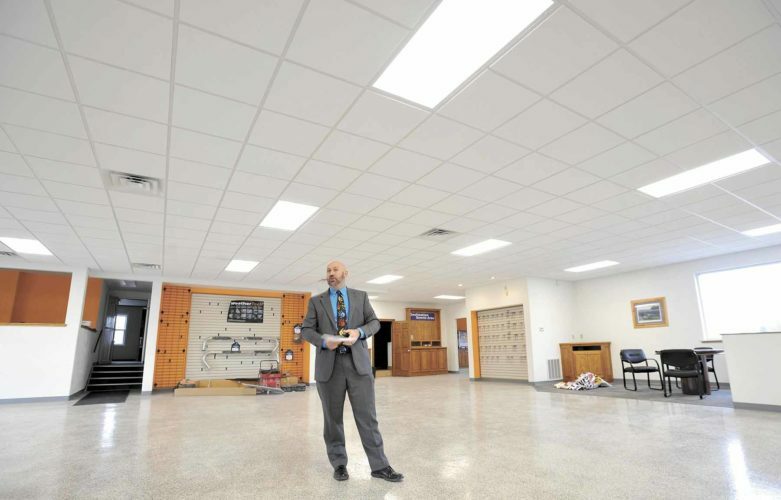 “We were able to renovate the middle school, provide a new entrance there, and install the balance of geothermal heating and cooling at the high school,” Olson said. A new library was also added at the high school. Olson said it can take several years to make a construction project happen. According to Olson, the district covers 362 square miles. No matter where a student attends, a bus will be there to pick them up, Olson said. Clarion merged with Goldfield in 1993. Clarion-Goldfield merged with Dows in 2014. Olson said the gap for state funding from school to school is out of balance. He said it’s based on how much money per student the school can generate. Transportation, human resources, and instructional materials are all part of the same general fund, Olson said. In terms of technology, the district has prided itself on being able to provide high-end devices to its students, according to Olson. All students in grades three through eight are equipped with iPads. “That just recently expanded,” Olson said. At the high school, all students have their own MacBook Air laptops. Hagie Manufacturing Co., of Clarion, helped fund the technology. Hagie also worked with the district to purchase a plasma cutter for the high school. Olson said the district spends about $350,000 on technology every year. The devices assigned to students have helped connect parents to their children’s education. Olson said students are supposed to show weekly progress to their parents. Teachers have shifted focus in recent years to more collaboration and professional development, according to Olson. One result of changing philosophies is the amount of times students are tested. Olson said students may be asked to take more frequent exams such as a smaller quizzes throughout a unit. Some teachers are creating videos of specific strategies used that other teachers can watch at anytime, Olson said. The clips might range from 8 to 10 minutes, he said. “That’s something the state has been interested in,” Olson said. He said in previous years some teachers would be used as model teachers for other teachers, but that proved to be ineffective. The videos allow the teachers to view different strategies at a time of their choosing. 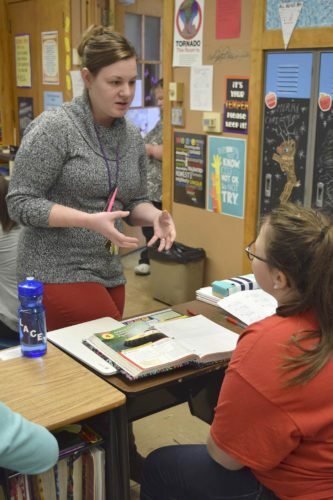 In an effort to train future teachers, CGD is part of the North Central Academy, located in Eagle Grove. There, students can take part in the education pathway to earn college credits. According to Olson, one in four teachers who teach in the district, graduated from Clarion.